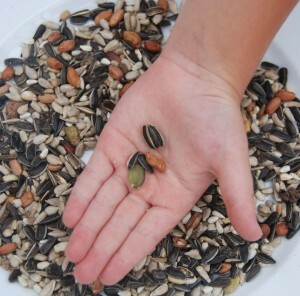 Take 6 handfuls of the assorted birdseed and put them on the big plate. Spread the seeds around so that you can see the individual seeds well. 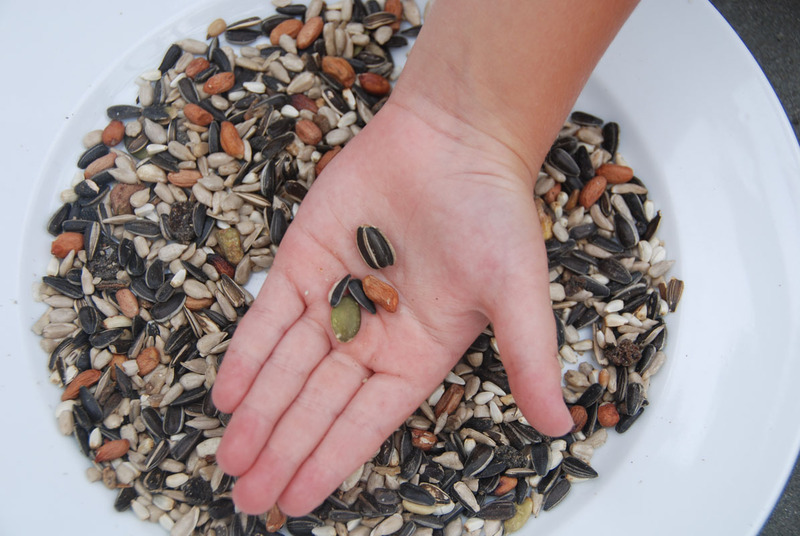 Have the child select 5 favorite seeds from the plate. Set them aside. Ask the child to explain why he or she selected those particular seeds. Was it the color? Shape? Size? These are your “magic” seeds. Name them, if you wish. You do the same. You hold the funnel as the child scoops up the seeds in small handfuls. 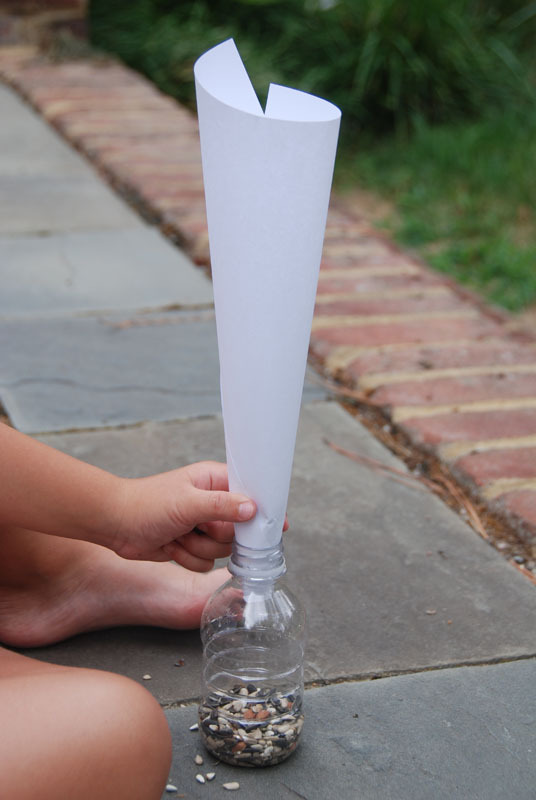 Have the child empty the handful of seeds into the funnel. 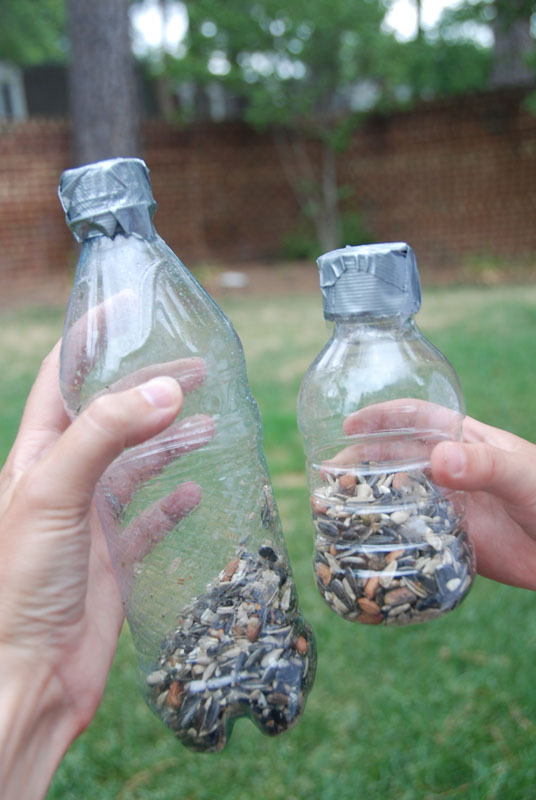 Repeat until you have about an inch or two of seeds in the bottle. 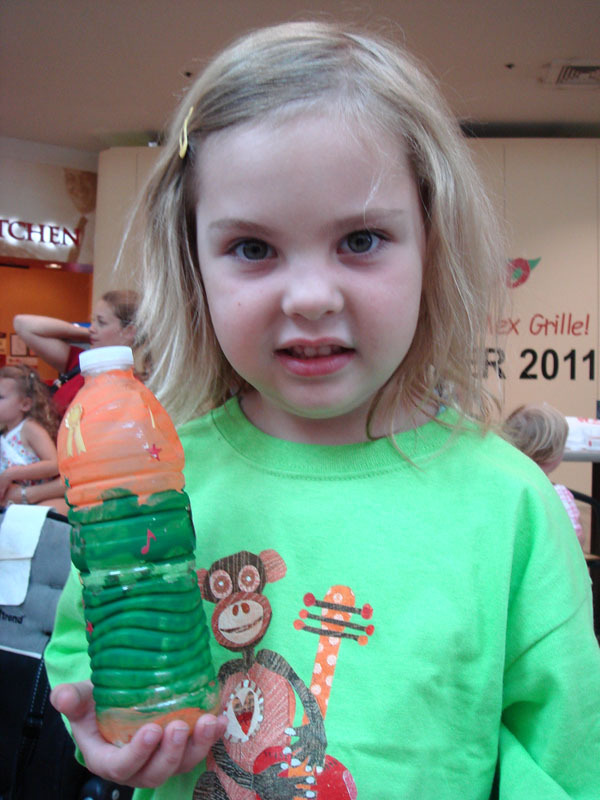 Then have the child hold the funnel for you and fill your bottle. Now for your imagination… Each of you put your 5 “magic” seeds in one hand and with the other make a circle over the seeds while saying: “Magic seeds, oh, magic seeds make mucha mega music, if you please.” Say it again but this time like an opera singer, or a sports announcer, or a spy…you decide. Then one by one each of you drop your 5 “magic” seeds into your bottle. 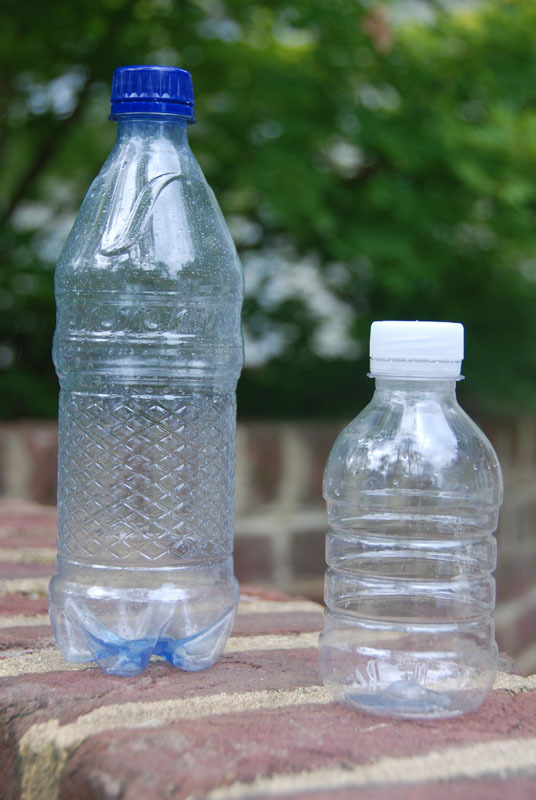 Put the top on each bottle and seal each with the tape (or don’t and take your chances). Shake your magical maracas and notice how the magic seeds add extra pizzaz to the sound! Sing your favorite songs and play your favorite music and shake those Magical Musical Maracas!! !